Local historian Andrew Swift has been writing about Bath’s bankside relationship with the River Avon. He think there is under-developed potential to tap to let this waterway flowing through the heart of our Heritage City play a greater role in terms of leisure and the environment. He goes on to mention (Bath Observer, August 2012) that the Newark Works, one of Bath’s old industrial giants sitting on the riverside, could be the hub of a cultural quarter that could include a Museum of Bath. As a newcomer to these parts – I know Bath but have never lived here before – l have to agree that is a facility sadly lacking in a urban world heritage site chock-full of museums. 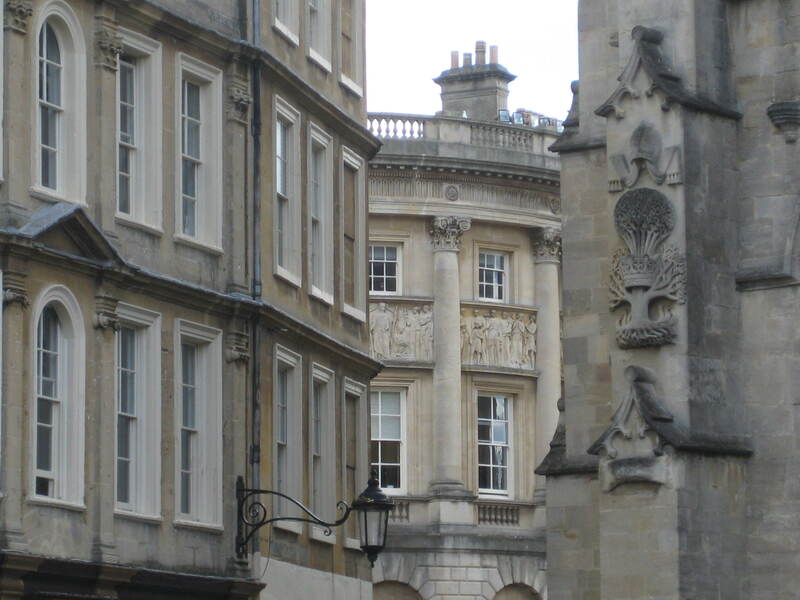 We celebrate Georgian building methods, Bath’s industrial past, the history of costume, and the public showing of private collections of art – Western and Eastern – but no where is there a museum dedicated to the city itself. Something that provides an inclusive essence of its past, its people and its social history. A facility that would also act as a living collector of physical and collective memory resources that will continue to store and display the development of this wonderful place. I applaud and support any effort to get such a facility off the ground but, in the meantime, am setting out to provide a Virtual version of the real thing. I will be blogging about many things concerning the city and its history and its contemporary status. I am hoping my Virtual Museum will become known to many others who might like to contribute too. I am stating the aims of this Virtual Museum of Bath blog before l get down to some serious planning. I just want to get my first blog out there! I am delighted to discover your Virtual Museum of Bath and I have particularly enjoyed reading some of your very valuable comments. I am of similar mind! With regard to your own efforts I am sure there will be a number of people who will be more than happy to support you and that the numbers will steadily grow. Do keep up the good work. I am planning another event in 2013, much bigger than the last, which will again celebrate Bath’s history. If you woud like to give me your email or telephone address I would very much like to keep in touch. Thanks for that Angela and yes – please keep in touch!